The author explores the causes of the conflicts and describes his own innovative efforts at conflict resolution. 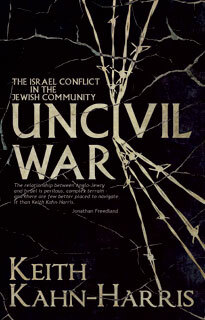 Analysing the various groupings - left, right, secular and religious, pro and anti-Zionist - in Britain and the USA, Keith Kahn-Harris looks at the history of civility in society and examines the different methods used by international organisations and groups involved in developing dialogue within Jewish communities. �20.00 plus postage of £1= UK, £2= Euro, £3=rest of the world. �10.00 plus postage of £1= UK, £2= Euro, £3=rest of the world.